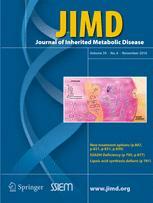 The European Guidelines for the diagnosis and management of cystathionine beta-synthase deficiency, written as part of the European Network and Registry for Homocystinurias and Methylations Defects (E-HOD) project, are now published in the Journal of Inherited Metabolic Disease. The guidelines provide recommendations to health professionals involved in the diagnosis and management of CBS deficiency and are based on a systematic review of the literature. The recommendations also cover matters such as pregnancy and quality of life in CBS deficiency. The Guidelines can be found here.